Details for Marella Discovery 2 can be found below. In summer 2017, Marella Discovery 2 joined our fleet. Marella Discovery 2 is the sister ship to Marella Discovery – and this is why their names are so similar. 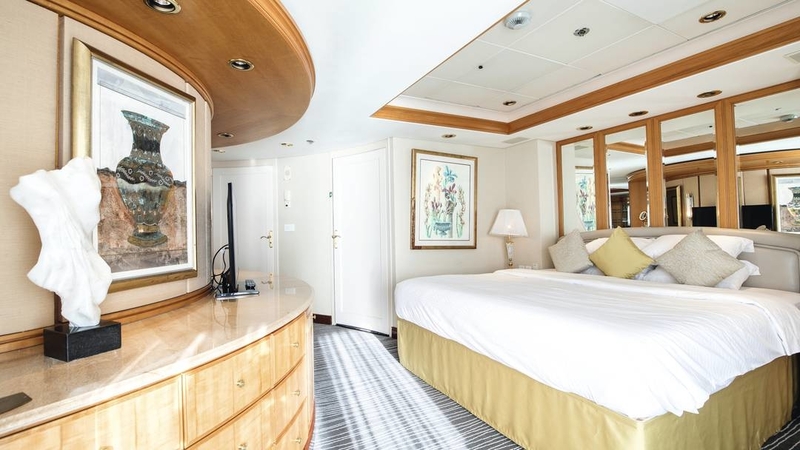 Having two ships means you’re able to pair a wider choice of itineraries with the exciting features offered by this larger, more contemporary style of vessel. These include an outdoor cinema, a rock climbing wall, a minigolf course, an indoor pool and a glossy atrium. Not to mention the range of bars, excellent dining scene and night-time shows enhanced by up-to-the-minute technology. 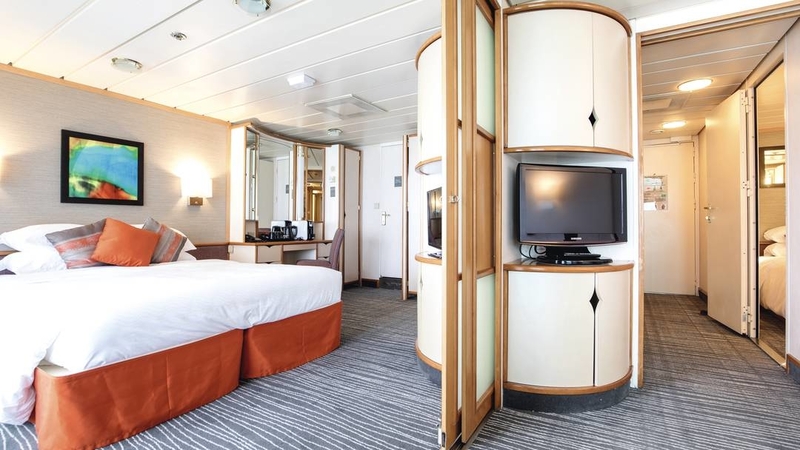 Just like Marella Discovery, Marella Discovery 2 is All Inclusive as standard. So, drinks, including prosecco and cider, meals in a selection of restaurants and most onboard activities are included in the cruise price. Flights and tips are both part of the package, too. There are 5 Executive Suites, which sleep 4, and come with a separate living area with a queen-size sofa-bed, a queen- size bed, and an en suite with a WC, shower and bath. You can soak up the sea views from the comfort of your private balcony – it’s got glass doors, which let in plenty of light. Executive Suites are spacious, measuring in at 47m2. 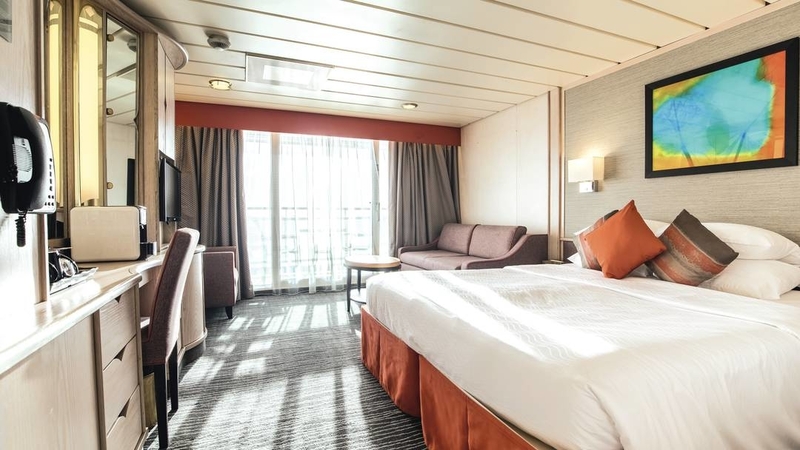 The Deck 8 Family Suites sleep 7 people, and have 2 separate rooms – one with twin beds that convert to a queen-size double bed if needed and another with a fold-down bed. There are 2 bathrooms, one with a shower, and one with a bath. Plus, you’ve got a living area with a double sofa-bed. The cabin covers around 40m2, and comes with a balcony. 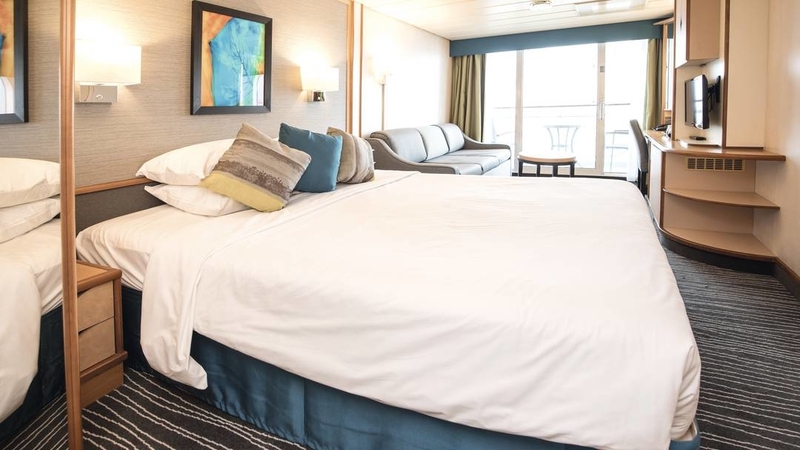 The Grand Suites on Deck 8 have twin beds that can convert to a queen-size double bed, and a sitting area with a sofa-bed, and can sleep 4 people. You’ll get a bathroom with a WC and a shower over a bath. There’s a balcony for admiring the sea views, too. Grand Suites measure 32m2. You’ll get twin beds that convert to a queen-size double bed and an en suite with a WC and a shower. 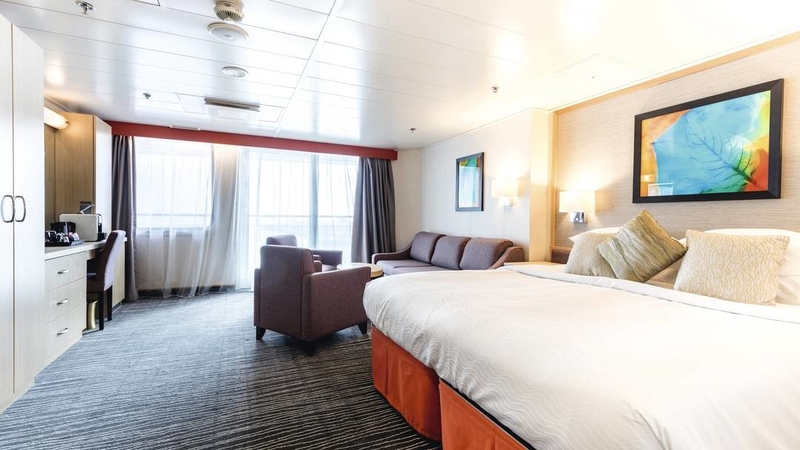 Deck 2/3 Inside Cabins cover 12 and 13 m². 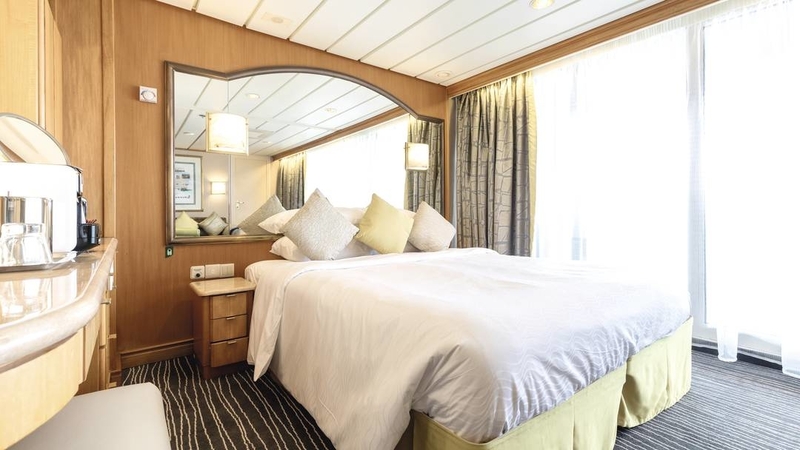 Our 3 and 4-berth cabins have upper berths that fold down for extra sleeping space. You get a set of twin beds that convert to a queen-size double bed and an en suite with a WC and a shower. 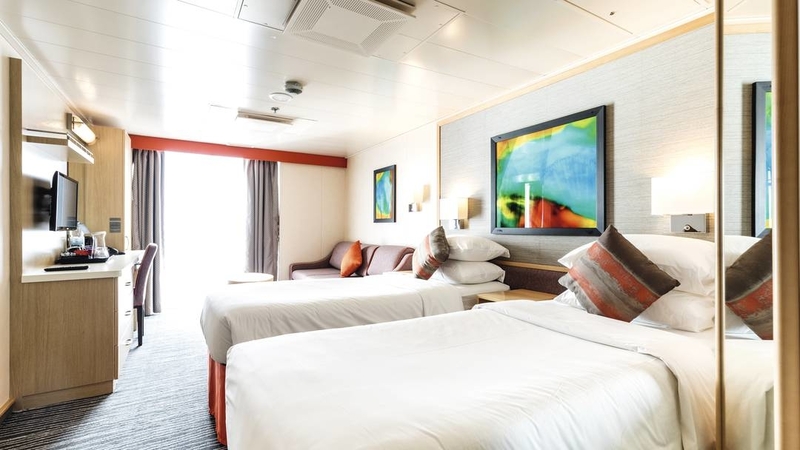 You’ll find these cabins on decks 7 and 8, they sleep 2 people and measure 15 m². 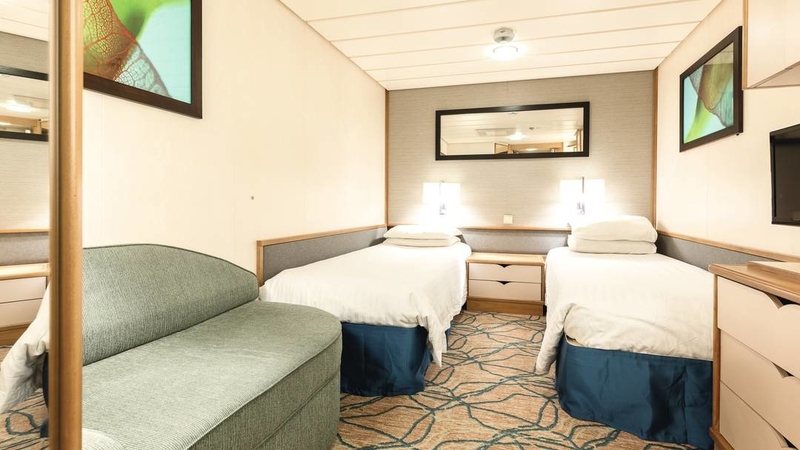 Junior Suites on Deck 8 sleep up to 4. 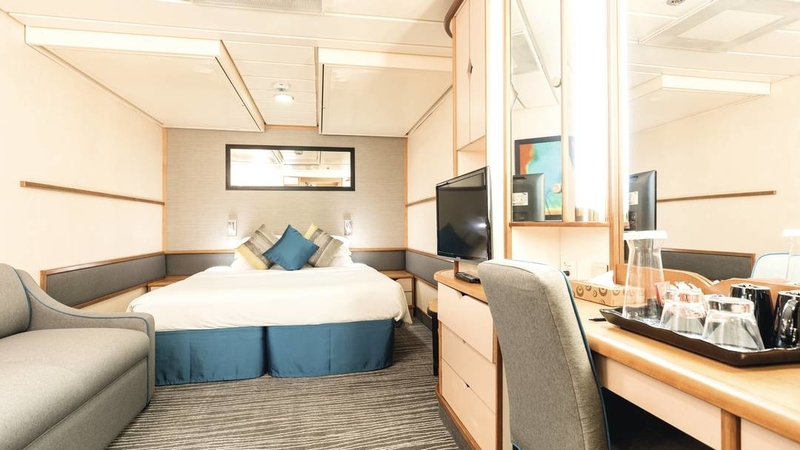 They’ve got twin beds that can convert to a queen-size double bed, and a sitting area, as well as a bathroom with a WC and shower, and a balcony. If there are 4 of you, you’ll also get a sofa-bed. These cabins measure around 21m2. 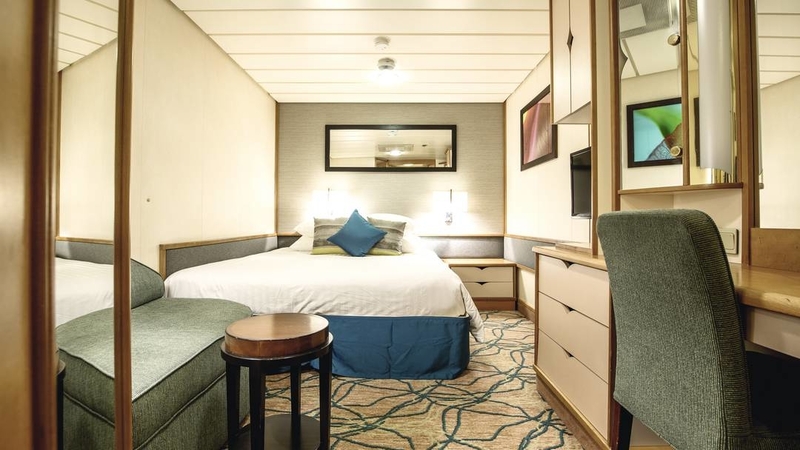 The most luxurious cabin on both Marella Discovery and Marella Discovery 2 measures up at a huge 92m2, and sleeps up to 4. It comes with a separate living room with a sofa-bed, a bedroom with a king-size bed, and an en suite with a WC and a shower. Swish extras come in the form of a baby grand piano and a whirlpool bath. Expect plenty of light courtesy of glass doors that open onto a balcony. 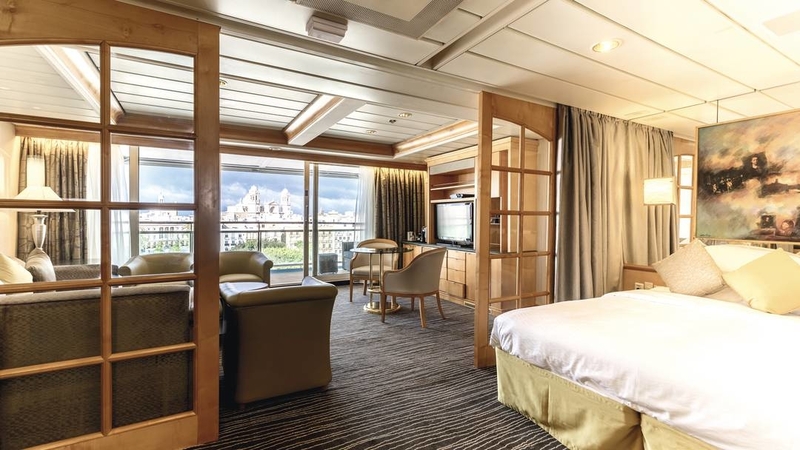 You’ll find the Royal Suite on Deck 8. These are on decks 2 and 3, and accommodate solo travellers. 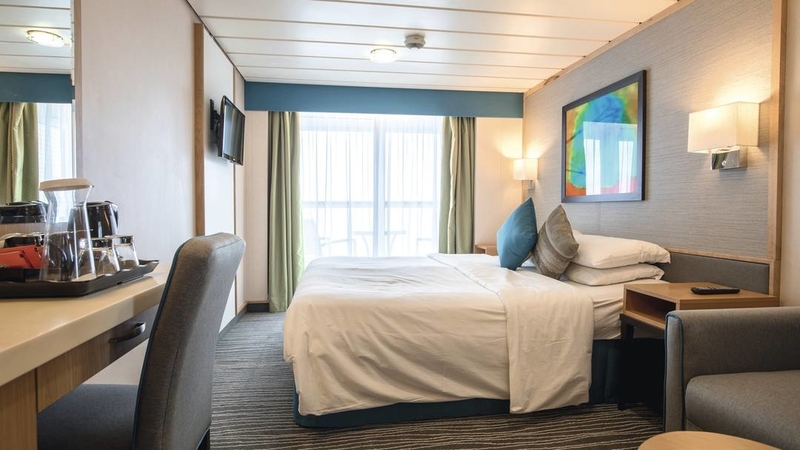 The cabin is kitted out with twin beds that convert to a queen-size double bed and an en suite with a WC and a shower. These cabins measure 12 m². These are on decks 2 and 3, and accommodate solo travellers. 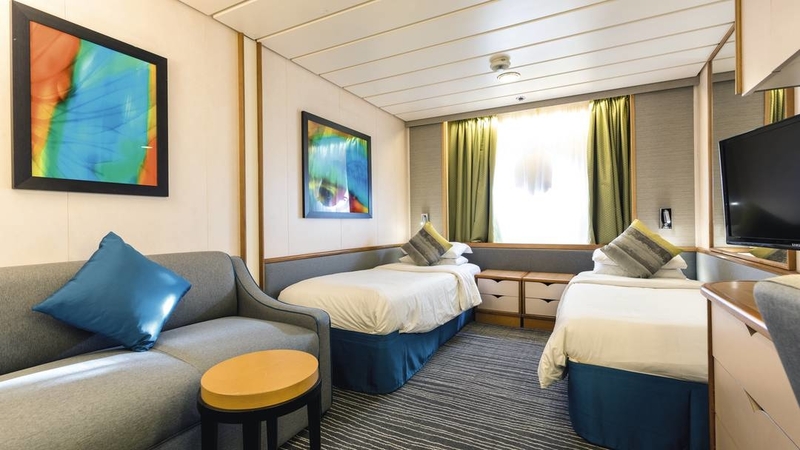 A picture window or porthole offers sea views, and the cabin is kitted out with twin beds that convert to a queen-size double bed, a sitting area with a sofa, and an en suite with a WC and a shower. These cabins measure 14 m². write a review of Marella Discovery 2.